How do you feel about spending hours on end in the great outdoors? Do you spend a fair amount of time biking for exercise? Is your idea of a good date an extended hiking trip up into the hills or mountains? 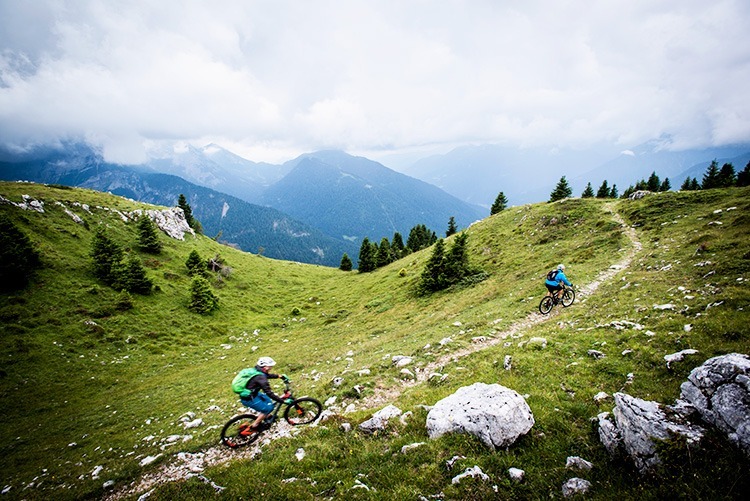 Mountain Biking may be just the thing for you. Even if the idea of spending a long weekend on a nature trail with nothing but a bag of supplies and a rugged bike doesn’t grab you immediately, there’s something uplifting and unique about spending a few hours on a bike trail off of the beaten path, so to speak. 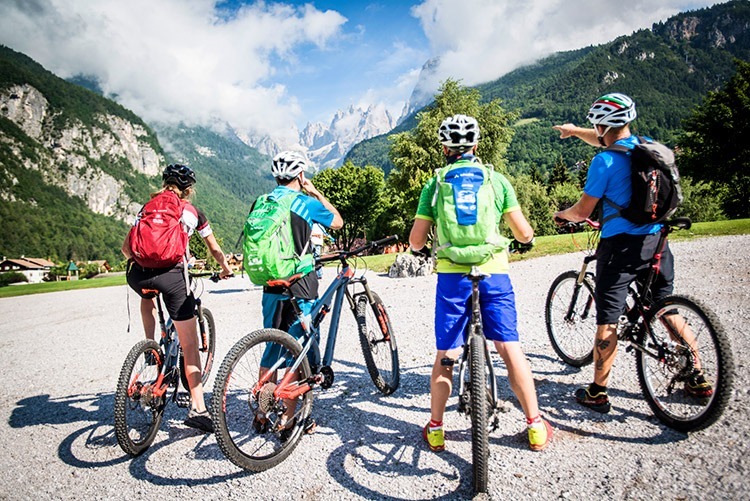 Before you pass judgment on just how exciting an extended outing might be, you’ll want to hop into a quick refresher course on what you need to know about your first MTB holiday and how you can best prepare for the fun and hardships to come. Unless you bike thirty miles to work every day, you’re probably going to be surprised by just how long a bike tour can be. On the other hand, you might be just as surprised by how far you manage to ride before fatigue sets in! That’s not to say you should just dive into a long-distance ride without proper preparation. This guide is all about prep, after all. When researching local bike trails and destinations, ensure you get a feel for just how long of a ride you’ll be making. Find trip length advisories and see how it feels to ride the trail’s distance over the course of a work week or two. You might have some training to do before you set out! Going into a MTB tour without a plan can really sour an otherwise enjoyable way to spend your time. Knowing where you’ll be, when you plan to stop, what you want to eat and how you’re going to get around are vital parts of the trip and aren’t to be taken lightly, and having a guide by your side during the trip definitely helps with all these things. Packing food and hygiene essentials will ensure you make it through the trip happily. 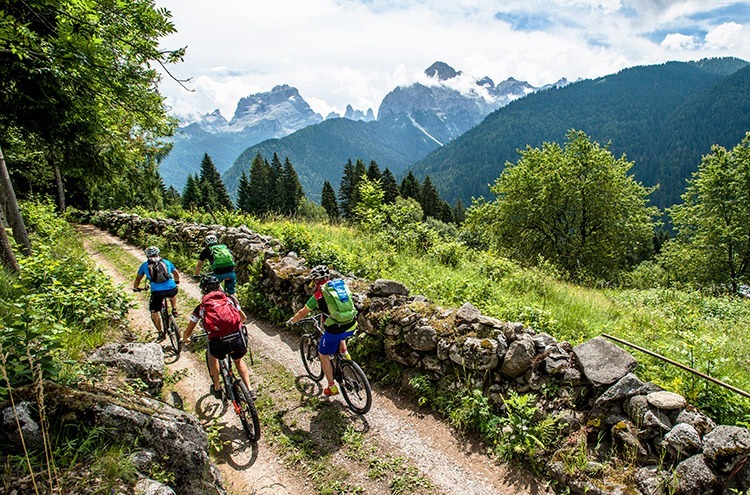 First of all, you’ll want to consider getting a comfortable and sturdy mountain bike, as well as proper biking gear, with protective equipment. 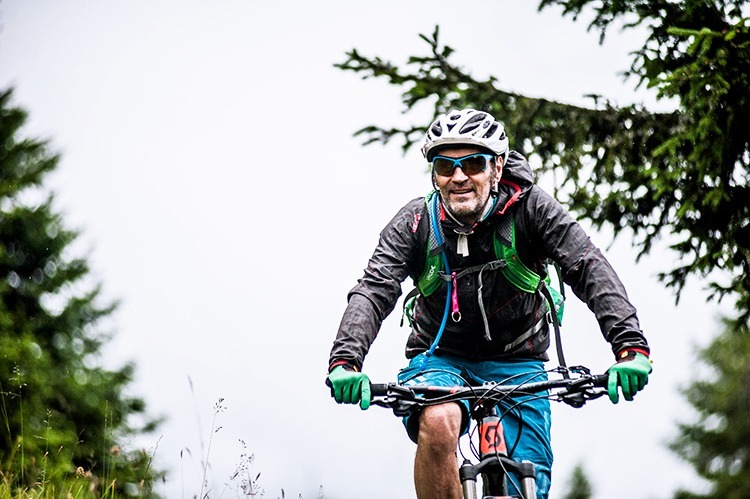 It is highly important to ensure that your bike is hardy, its tires are sturdy, its frame can withstand off-road terrain and that its brakes are in proper working order. While it is a casual outing, you won’t want to skip out on the safety gear. With upwards of 86 percent of cyclist fatalities happening to those 20 years or older, beginning with a helmet and working elsewhere may be wise. Pads for your elbows and knees and footwear with appropriate give come next followed by things that aren’t strictly essential. Biking gloves, while potentially warm or uncomfortable, can save your palms from nasty scrapes and bumps if you should take a tumble. A mountain biking tour isn’t the sort of trip you plan a week ahead of time unless you’ve been biking for literal years on end. Building your body up to the point of several hours of uninterrupted riding isn’t an overnight process, either, but you’re wholly capable of making it to the point of riding a weekend tour in just a few short months if you put your mind to it. Most tours are rated on a scale weighed by how difficult and lengthy the journey is. Start with the lowest difficulty ride you can find and work up from there to avoid burning out before your enthusiasm for biking does! You can travel far away from home without missing a beat when it comes to biking. Imagine visiting a faraway country you’ve always dreamed of seeing: images of popular tourism destinations almost certainly spring to mind. Yet if you want to see the full range of what a country can offer, getting outside of the usual tourist traps and seeing the actual countryside can put into perspective the differences in cultures and regions can actually offer you. That’s not to say you should avoid eating as much as you can while you’re out and about, though! 6. Bike Tours Are Fun! Last but certainly not least, your trip should be enjoyable! If you aren’t up to the task of taking a week-long ride over massive mountains, there’s a simple solution: don’t. 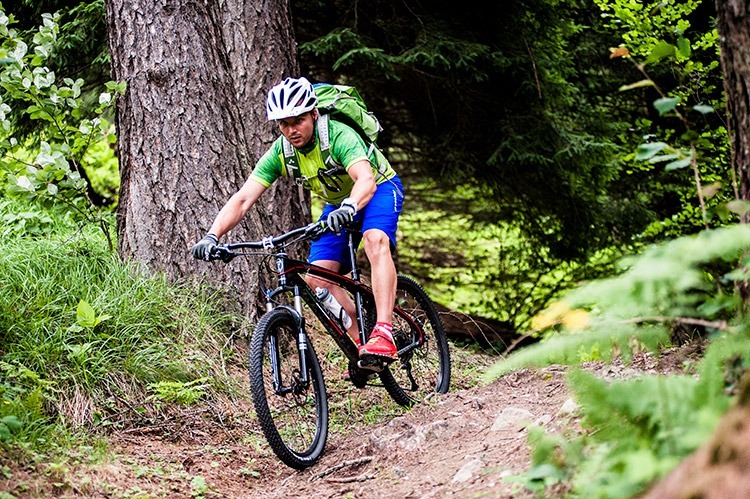 Find trips that cater to your interests and level of physical skill. There isn’t any competition to be had. 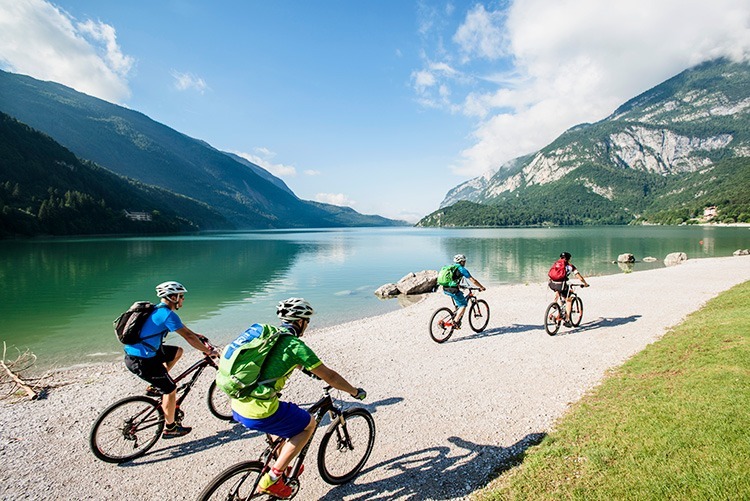 Mountain bike holidays are meant to be fun, lighthearted excursions to the far reaches of the outdoors where precious few of us dare to tread these days. As long as you prepare appropriately, train for your journey ahead of time and keep a positive attitude, the world is open for you to explore.